The Mixed pack of PHIX pods contains one of each flavor: Hard Strawberry #22, Spearmint, Butterscotch Tobacco, and Ice Tobacco. 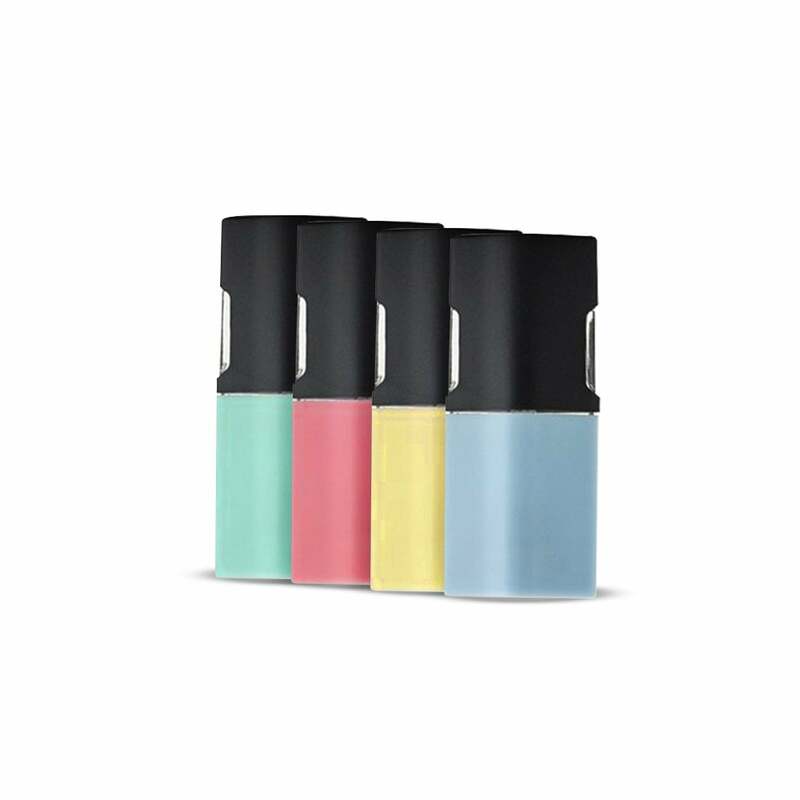 Each pod is 5% nicotine (50mg nicotine) and gives between 400 and 440 puffs per pod. Each pack contains four pods. The flavors available in this package are great. Whether you like more of a mint flavor or mild fruity taste, you're guaranteed to enjoy at least one of the 4 pods in this product. I am a heavy vaper and I usually take 4 to 5 days to even finish 1 pod. They're big and long lasting, they're amazing. Looking forward to tasting their new incoming pods. I've been purchasing these for my daughter and she is extremely satisfied! I am so glad that she is trying to quit smoking, and the quality of this product is helping her achieve that goal. These pods leak juice everywhere. Straight out of the factory sealed blister packs, they are covered in a layer of juice. You can't really keep the PHIX in your pocket or else you get oil stains all over your clothes and smell like whatever flavor you had on. The flavors are too strong, they can cut the flavoring by 50% and I think they would be better off. It is a nice variety across the flavor spectrum. Pods last a long time and hold up well even if unused for longer periods. Great quality, much better overall value than similar products. Flavors taste good and the quality of the product, including its build and general usability, is fantastic. Would recommend and will buy again. Have Great flavors in the Phix pods. Like the butterscotch best. Super fast shipping. Great experience. Great variety of flavors and great for figuring out wich one you like the most. I enjoyed all the flavors and it was worth getting to experiment. Great way to try several flavors. All of them are good.